Mitch Samu is a professional Music Director, Conductor, Composer, and Accompanist. He has over 300 productions as Music Director to his credit during his career. Mitch is the Music Director at Columbine United Church. Former Vocal Coach for Tony Award Winning Actress Annaleigh Ashford. Mitch has had the blessing of playing on Broadway as well as playing & conducting several national tours. Some of his Broadway credits include Saturday Night Fever, The Lion King, and Little Shop of Horrors. 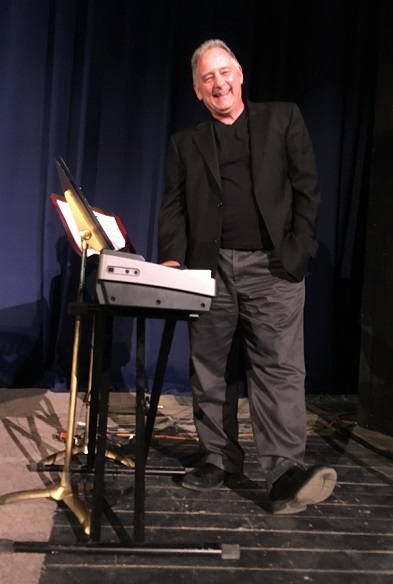 Mitch is the creator of THE 5-MINUTE PIANO LESSON and “3 STEPS BACK”, a 30-minute touring musical for children 5 –11 years old around the issue of abduction awareness. Mitch is a Motivational Speaker with tremendous talks to inspire you to live the life you were meant to live. His most requested talk is titled: “110 Billion people & You”. He has over 400 “Mitch Talks” on Facebook. Visit his website is www.wolosfa.com for more information. Mostly, Mitch is the proud father of Willow & Orion and proud husband of Kristen. BLIND AUDITIONS. What is everyone so afraid of? Let the talent SPEAK AND SING for itself. Mitch has directed well over 300 productions in his career including National Tours and Broadway Acts. Let Mitch share with you some ideas to get the most out of your students and out of your productions. The basic concepts of Musical Theater and Acting practice are really quite simple. Just tell the story. It is just that simple. Yet so many performers and teachers are not telling the story. This is a great workshop for both students and teachers, wanting to accomplish the goals of theatrical training in telling your story.